Find out how the Pisces sun sign will fare in terms of money and finance astrology predictions in 2016. 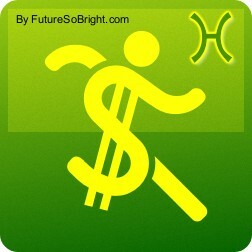 In 2016 the Pisces zodiac sign may find very little enthusiasm in their financial life. It may not be a time when you can increase your wealth. If you are trying to make major purchases you may find blocks put in your way. This would be things such as a house renovation, luxuries or purchase of a car. But you may find some interesting opportunities during the middle portion of the year, predicts the 2016 Pisces money horoscope. And anything involving property may very well make you a profit. Revenue may also come from your creative endeavors. Recheck any financial plan especially if you are thinking of beginning a new venture. Take the above 2016 financial astrology predictions as a guideline and plan the coming year keeping in mind your cashflow. Do not overspend and learn how you can become wealthy in the new year.